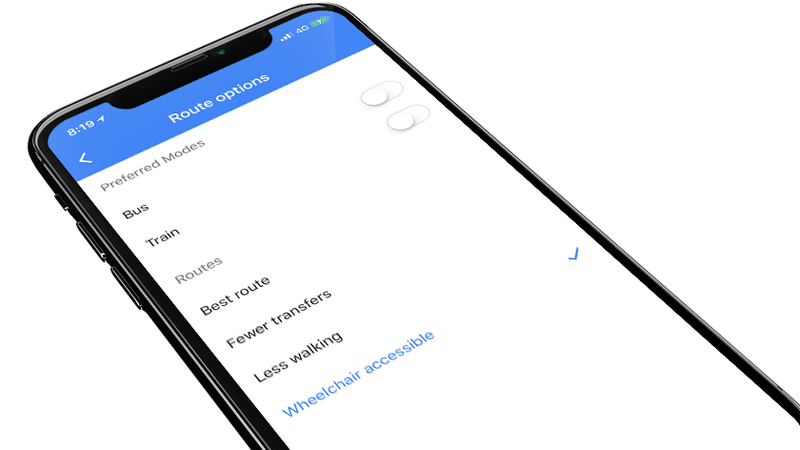 Tokyo now has wheelchair accessible routes in Google Maps! While Bmaps and WheeLog! 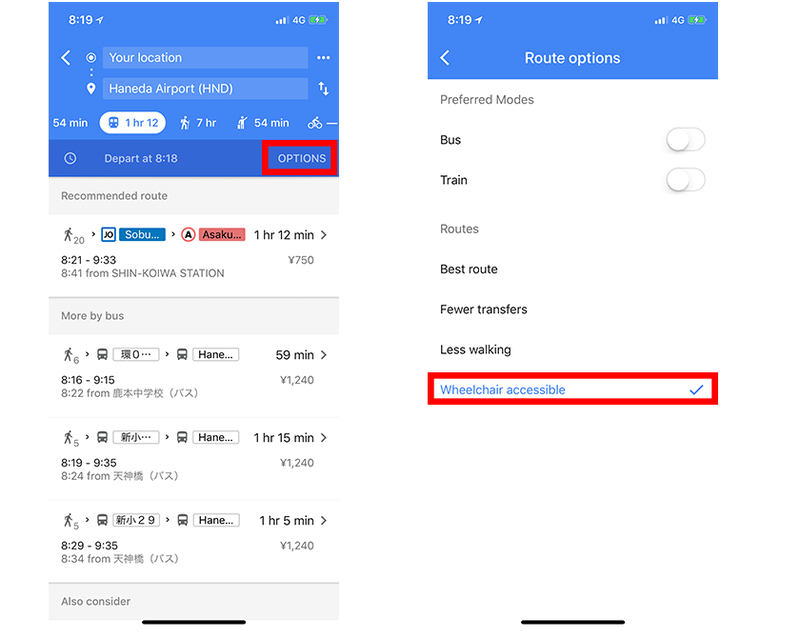 offer great user curated accessibility information, Google Maps is by far the best way to find your way around Japan. And that is getting easier now. To use the feature, type in your destination and tap “Directions”. Choose the Public Transportation” option and then “Options”. At the bottom of the options screen there is a new option for “Wheelchair Accessible”. Select that and you are good to go! While the app does warn “use caution – wheelchair accessible directions may not always reflect real-world conditions”, it is still an amazing feature to have and trust that the results will become more refined as they are used. The “Less Walking” feature is also a great option for those who do not use wheelchairs but have limited mobility. It is great to see Google taking this step to make the world easier to access for wheelchair users. Tokyo just became a bit more accessible.